Sanur, the first holiday village in Bali, is a peaceful and romantic hideaway on the idyllic Paradise Island. The Pavilions Bali, located on the eastern beach, is 30 minutes from the airport and only a stroll away from a stunning lagoon that is fringed on one side by a reef, and on the other by a long white sand beach. 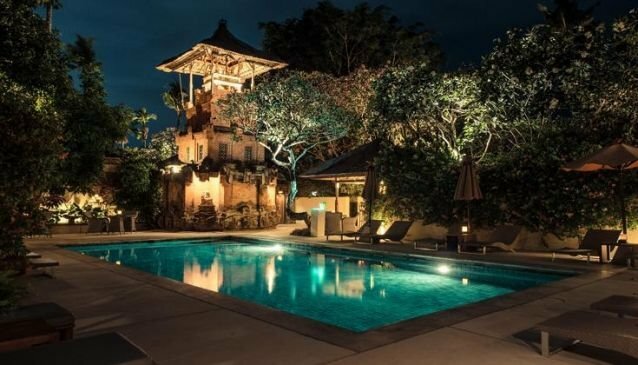 The 24 villas were designed to re-enact traditional Balinese compound architecture. Within this peaceful setting is a jewel-like pool and cafe, Bale business centre, library, gift shop and a delightful tropical restaurant.